Bordering state land and nature conservancy lands is a property known for its prime elk and deer hunting. Enjoy 4 springs, the headwaters of Marcella Creek, trees, solitude, and endless views. The property corners a large block of State Land and also borders nature conservancy land to the West. Those Nature Conservancy lands are slated to be purchased by the State in the future in which case, the property will border a huge State Forest for your hunting and recreational pleasures. This is an extremely rare property to be next to all these additional lands you can hunt and enjoy at any time. The elk and deer love it here too, you can tell from the fresh sign everywhere. The picture of the velvet mule deer bucks and the elk were taken right on the property as well. The seller called in a beautiful harem bull from 4 yards away several archery seasons ago just two ridges over from this property, the very first time he hunted this area. Don’t forget about the big mule deer bucks that like to roam the land! It’s all super secluded and private behind a locked gate. The word quiet doesn’t begin to describe the solitude you’ll have on this property. You have the right to drive for miles and miles on your easement road through Stimson Lumber land which is also open to hunting all the way in. Nobody else gets to drive behind the gate and its miles for anybody else to hike in to the area on the State Lands. The property sits up high on a ridge at the head of Marcella Creek and near the head of a bunch of drainages. That means you’ve got elevation to start your hunting and it all comes together up here in the higher country. It’s the perfect place to set up a wall tent, camper, or build a cabin to have as a base camp for hunting. You’ve got this 160 acres to start hunting on and then have the option to hunt the thousands of acres that border the property. 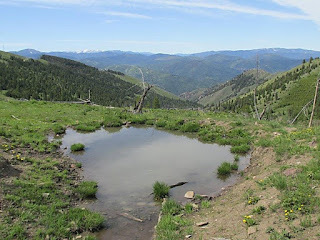 There are four springs on the property as well that could be used for water and the headwaters of Marcella Creek runs along the property line of the property, the elk and deer water at the springs and creek. There’s an old burn in the area and on part of the property which the wildlife love, and the property has about 60 acres of timber for shade and cover on it too. You’re up high where you’ve got views of the surrounding mountains where you’ll be able to glass for wildlife for miles. Since it is up high, it gives you great vantage points and great views of the Garnet Mountains that surround you and great views of snowcapped peaks in the distance. 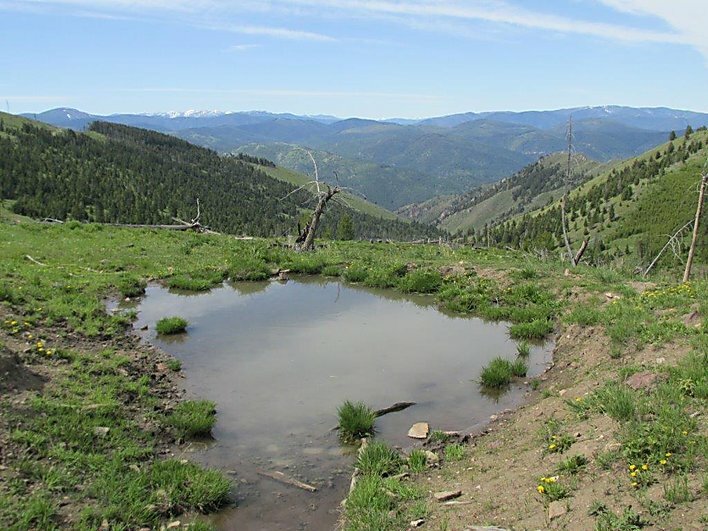 This hunting property sits east Missoula, Montana about 60 miles. This is high country with 18 miles of dirt road, so it’s not a place for living year-round. This is recreational property at its finest and a hunting property through and through. It’s pretty amazing to get to drive through the gate into this wild country right to your property in the mountains. Priced at only $195,000, call Scott Joyner today at 406-223-6039, to learn more about this one of a kind property, property is shown by appointment only.